As an iPhone owner, you probably think that the only program to access iPhone files is the official Apple iTunes desktop app, right? Well, you are wrong. There are so many programs out there that allow you to access your iPhone files without the use of iTunes that you are familiar with. Without wasting time, let us quickly take a look at top 3effective software to access iPhone files on PC/Mac. This is one of the best software that allow you to effectively manage your iPhone files out there. Although iTunes is the official app, but iMyPhone TunesMate beats it flawlessly! This app comes with no restrictions and it gives you for proper file management of your iPhone, iPad, and iPod. Do you want to sync music, photos, videos, etc. between your PC and iPhone? IMyFone TunesMate makes it easy for you. Access & manage iPhone files on computer: music, movies, playlists, photos, albums, audiobooks, podcasts, iTunes U, home videos, etc. Backup iPhone files selectively or all at once, to computer, external hard drive, iTunes. Sync iTunes or computer files to iPhone without deleting existing files. Share your purchased or non-purchased files with friends, or withing different Apple IDs. Step 2: Open the iMyPhone TunesMate software. You can choose from the top tabs depending on what kind of files you want to access. Music: Access and manage iPhone music, playlists, podcasts, audiobooks, iTunes U; Edit music info at your will. Videos: Access, view and manage iPhone movies, music videos, home videos, TV shows, iTunes U, podcasts, etc. Apps: Access all the apps and delete apps in bulk. TunesMate was thought a great deal of by many famous media, like Geekreply, tricksworldzz.com, etc. TunesGo is another great software that gives room for accessing your iPhone files. This iTunes alternative allows you to add music, photos, videos, apps, etc. from your computer to your iPhone device without the need for iTunes. TunesGo has the ability to manage, transfer and organize your music and playlists without limitations from iTunes. TunesGo let you transfer music from your PC to as many iPhone devices as you can, without losing the old data on each device. Gives room for easy backup of music, photos, videos, apps, etc. to your PC; it allows you to restore your backed-up files without hassles, too. 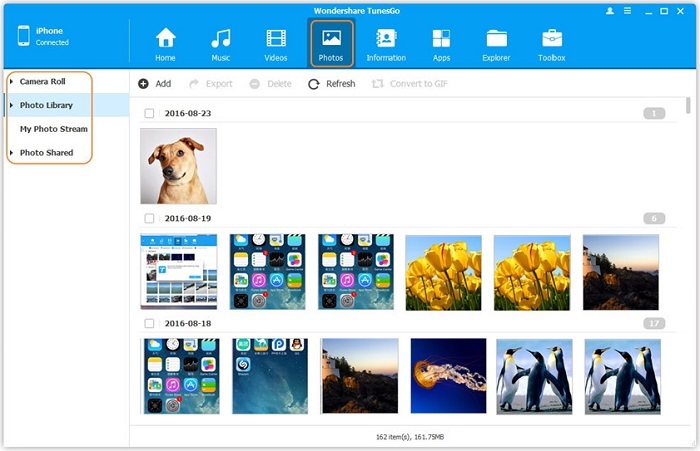 Transfer, manage, export or import your media files: music, photos, videos, Apps etc. SynciOS is another beautiful program to access iPhone files. This software comes with the basic file management features you need to sunc music, photos, videos, etc. from your PC to iPhone device. SynciOS does the help of converting non-supported files to friendly formats while importing files, especially music and videos to your device. 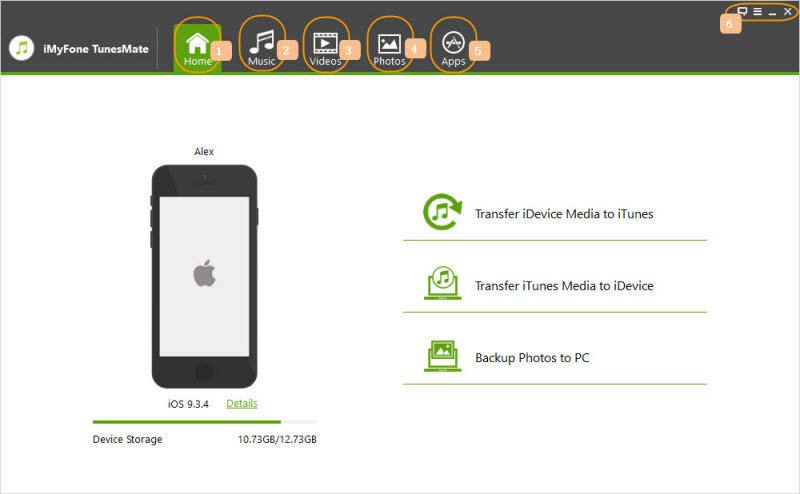 It lets you back up media files like photos, music and videos from your iPhone.